On a cream colored background, muted flowers appear throughout the fabric of the Floral Pattern Renaissance Dress. This historic-inspired gown, expertly handmade, is decorated with ruffles and flowers made from copper colored taffeta. The lined bodice features boning to help you achieve an hourglass silhouette, and the back features a zipper closure underneath its adjustable lace-up detail. Gathered at the waist, the full skirt features a central panel showcasing the coppery taffeta and extends to form a round train in the back. 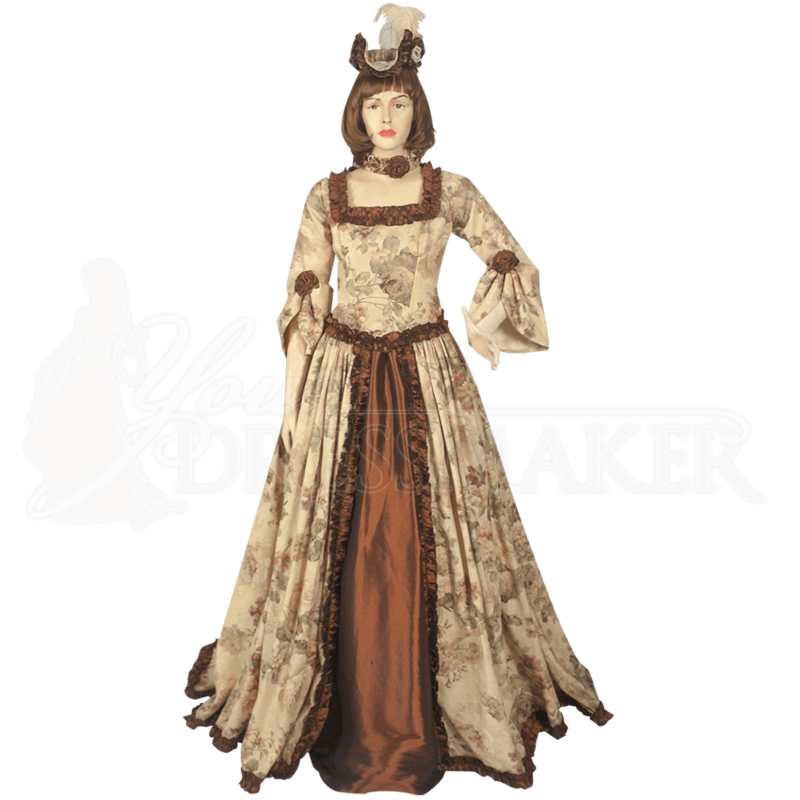 Ideal for wearing at masquerade balls and other sophisticated reenactment events, this Baroque-inspired dress will have you feeling as elegant and fashionable as a Renaissance noblewoman. The matching choker is included, but the hat and petticoat worn under the dress are sold separately.